Everything in the Grand Ouest is designed to transform your stay into an extraordinary experience. The spirit of the tradition-steeped Grand Hotels is evoked here to create a home of well-tended cosiness. 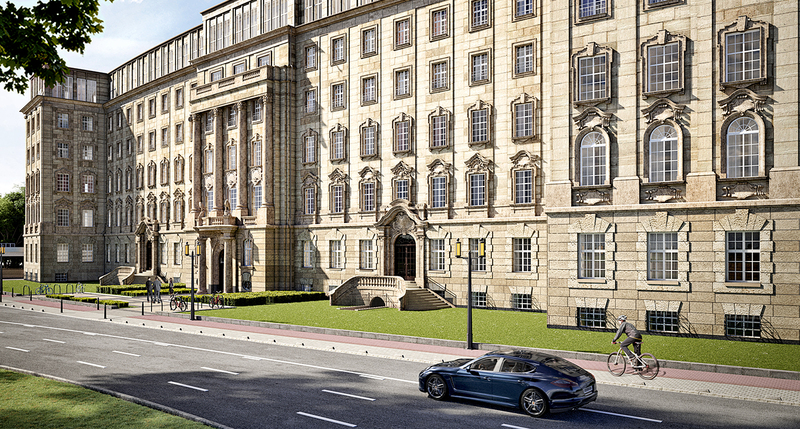 In beloved Westend, behind listed and unmistakably neo-baroque façades, an elegant lifestyle is coming to flower. And unveiling a level of service that will leave no one wanting. a once-in-a-lifetime opportunity. 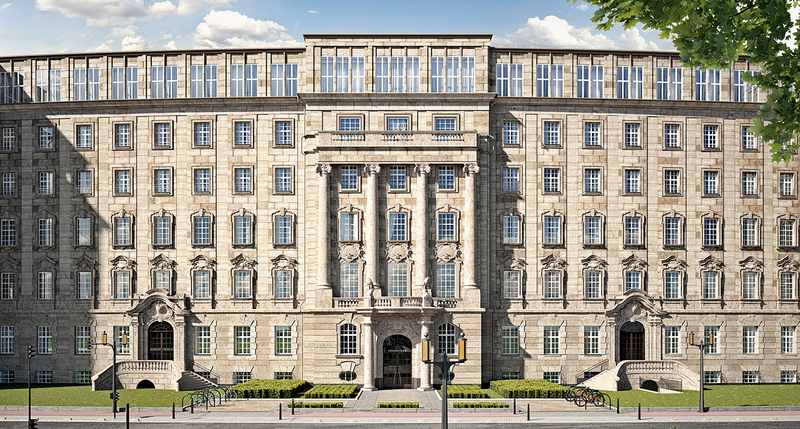 To resided in the former Imperial Oberpostdirektion building. A neo-baroque monument with a wealth of history. of the postal service resides on the most desired floor in the central risalit. The building was hit hard during the bombing of Frankfurt. 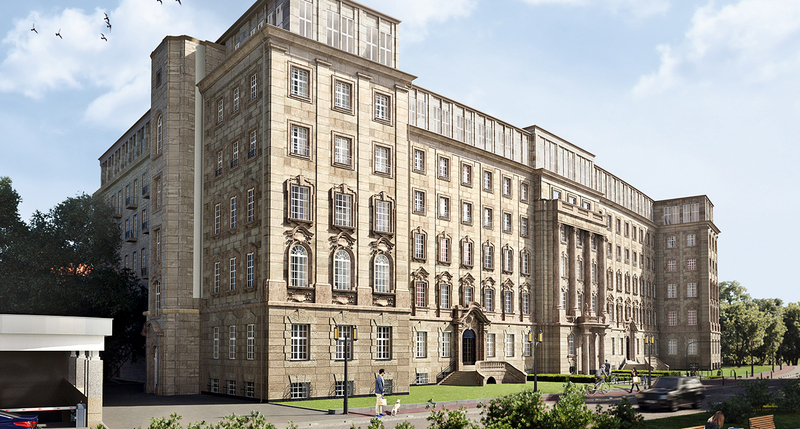 It receives a flat roof which is later corrected. 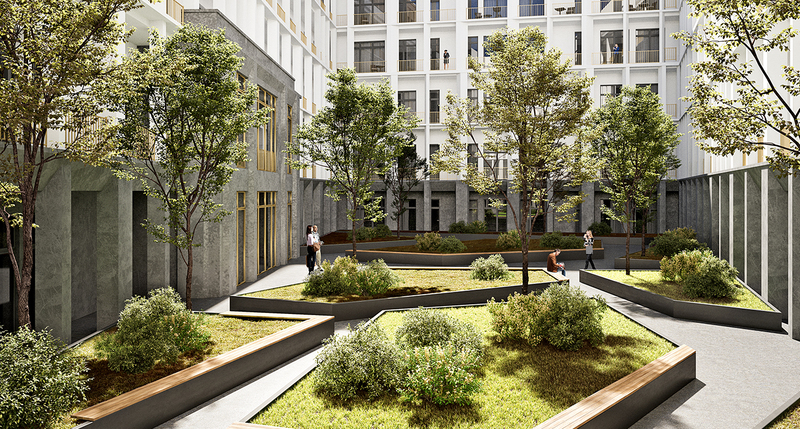 is completely gutted and both courtyards are replaced by new buildings. for new utilisation ideas and move out.